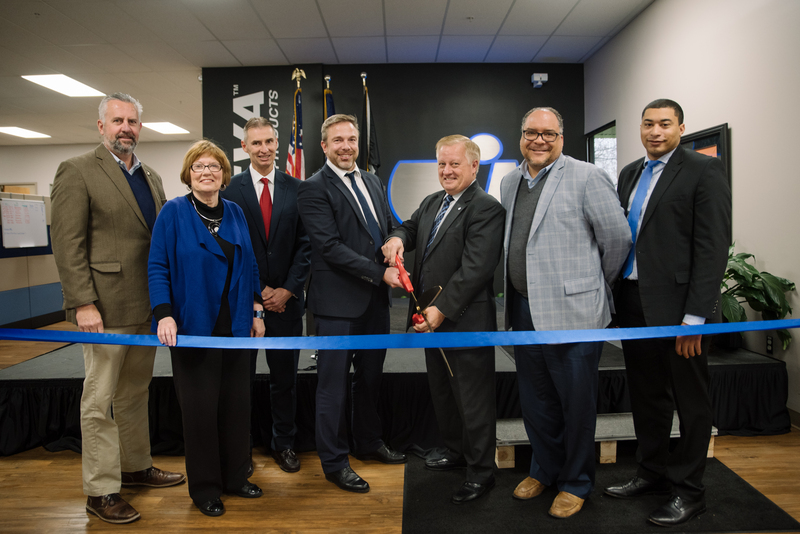 VANDALIA, Ohio, Nov. 16, 2018 – Inteva Products, a leading global Tier One automotive supplier of engineered components and systems, today announced that it will be making a multi-million dollar investment and creating additional jobs to support its Interior Systems research & development (R&D) initiatives in Ohio. This investment will take place over the next few years to sustain the company’s growth plans at its technical center in Vandalia, Ohio. The investment is supplemented by a performance-based JobsOhio R&D Center grant of $3 million plus grants of $70,000 and $50,000 from Montgomery County, Ohio and the City of Vandalia respectively. All of the new jobs will be located at Inteva’s facility in Vandalia. The technical center conducts R&D on vehicle Interiors Systems to include instrument panels, door trim, floor consoles, InteatherTM interior surface materials, InStitchTM stitching technologies, and other interior components. Inteva provides Interior System offerings across all automotive and commercial truck vehicle segments. Inteva opened the facility in 2011 and expanded the site in 2016. Additional capacity and facility upgrades are planned as part of the investment. Inteva Products is a leading global automotive supplier providing automakers with innovative, reliable, environmentally friendly products that enhance vehicle quality, safety and performance. Inteva has global resources for engineering, manufacturing and customer service for Closure Systems, Interior Systems, Motors and Electronics, and Roof Systems. Formed in 2008, the tier-one supplier is focused on achieving sustained global growth, providing excellent customer service and driving innovation. Inteva was founded on innovative solutions and the use of applied technology to drive value-based solutions. The company employs more than 12,000 people in 50 sites on five continents and maintains its World Headquarters in Troy, Michigan USA. For future company updates, please visit the Inteva Products website, or the company’sFacebook, LinkedIn, Twitter and Instagram pages.